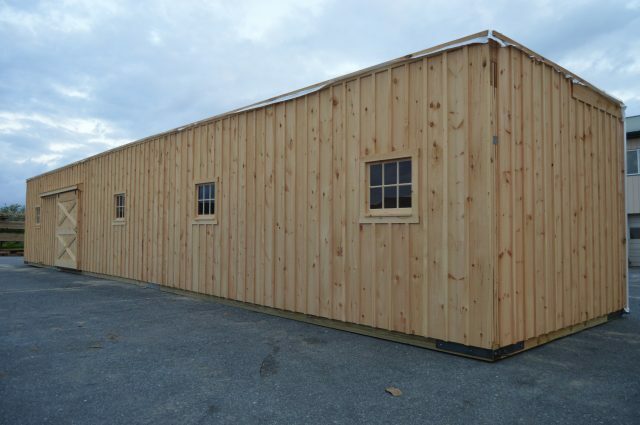 This is a 36’x60′ modular barn with (2) 10′ lean-to in the high country style. 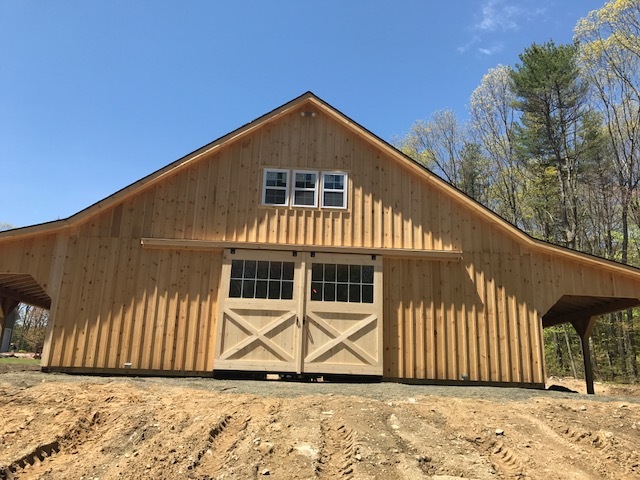 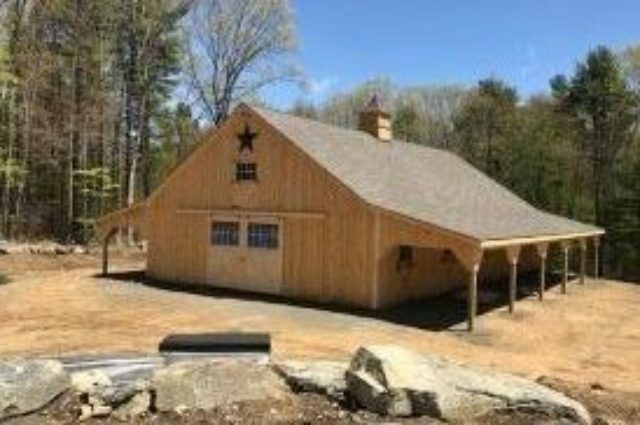 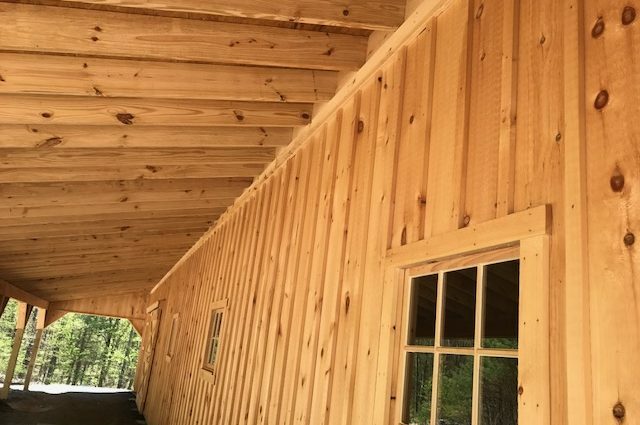 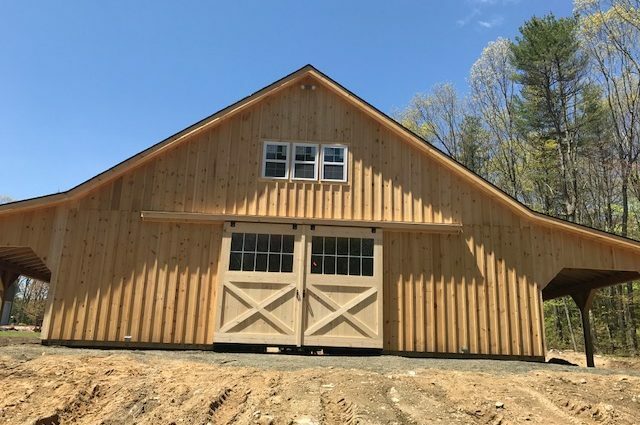 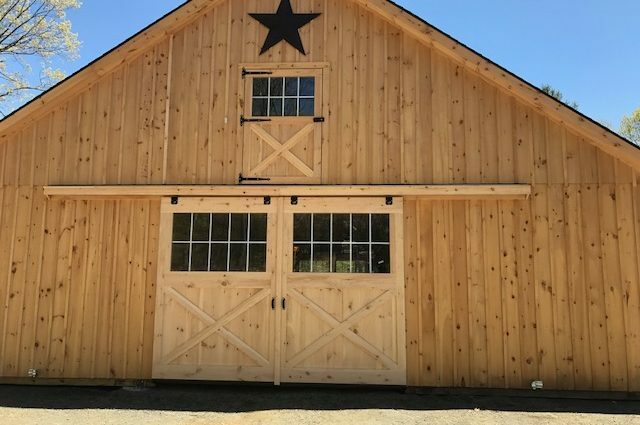 This Shutesbury, MA high country barn was built with white pine board and batten siding. 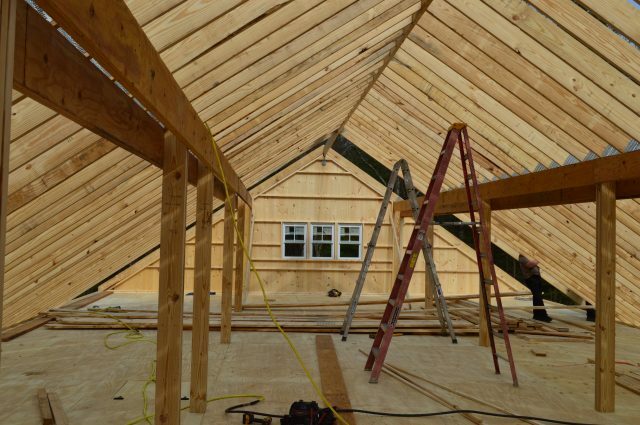 It has rafters and architectural shingle roof with BP Everest 42 (Fossil Wood color) shingles. 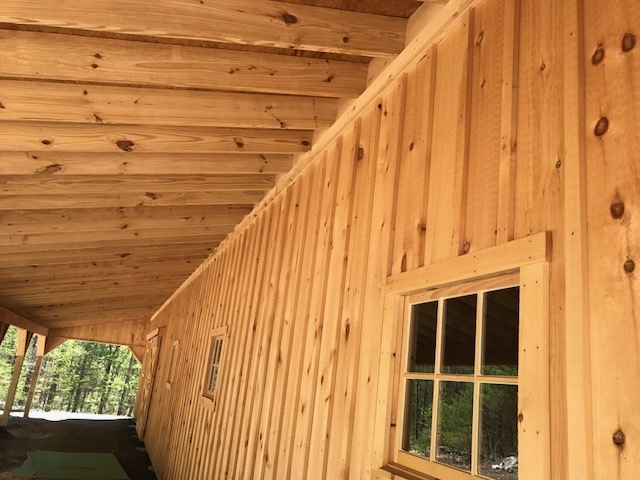 The small windows are sliding wood barn sash windows and the larger triple loft window is an Andersen Silverline vinyl single hung window. 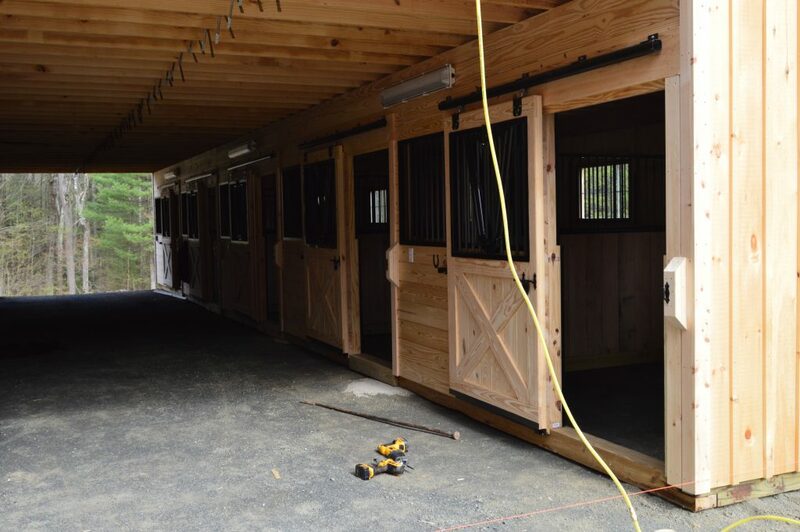 The 6’x9′ roll doors with windows, 6’x7′ roll door and 4’x7′ Dutch doors with window are built by J&N Structures. 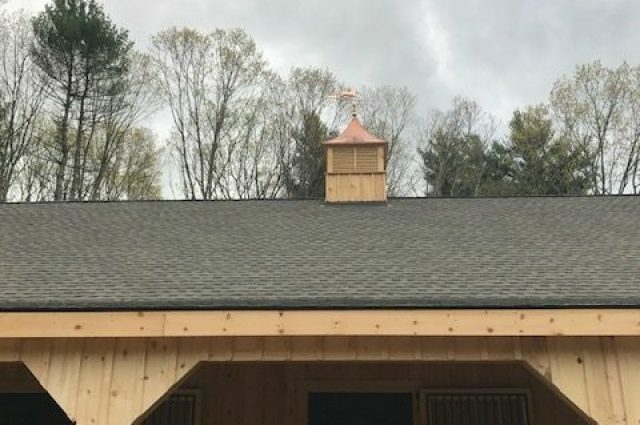 Up on the roof is a B-48 cupola by Creative Cupolas. 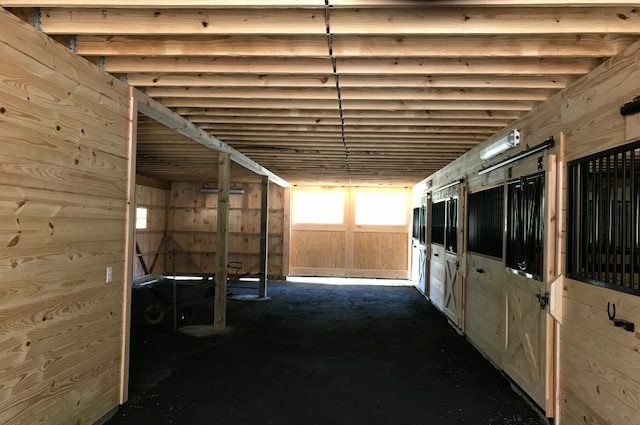 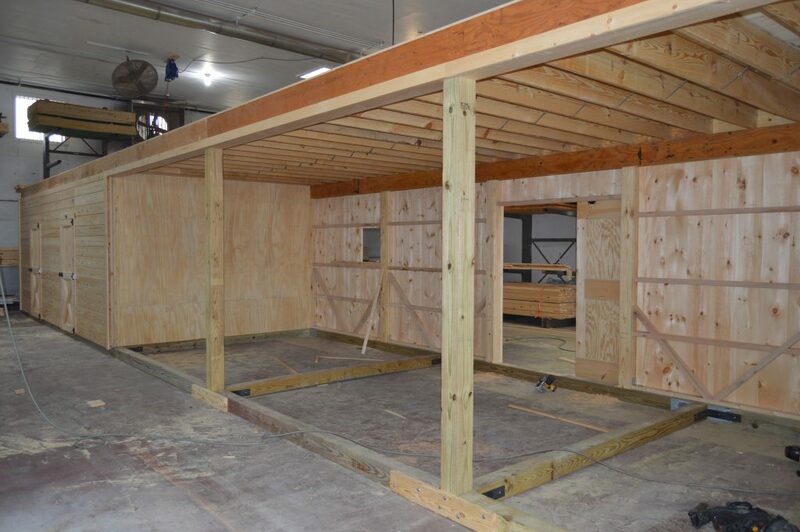 This modular barn has (5) 12’x12′ stalls, a 12’x16′ tack room, 12’x8′ feed room, and a 12’x36′ open storage area. 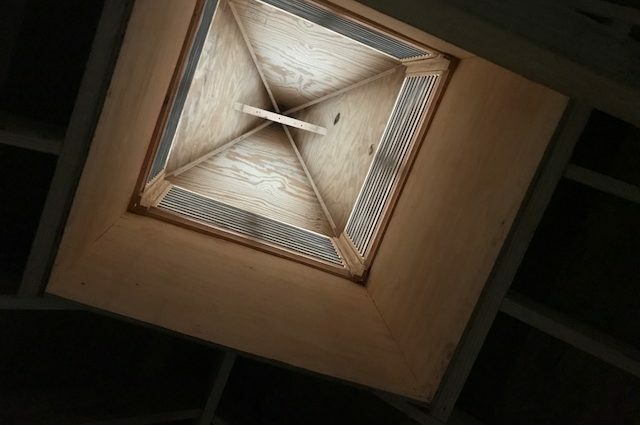 It has a full loft accessed via stairs. 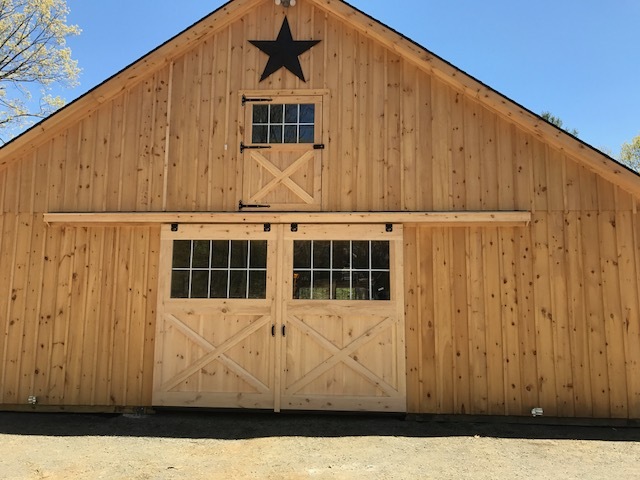 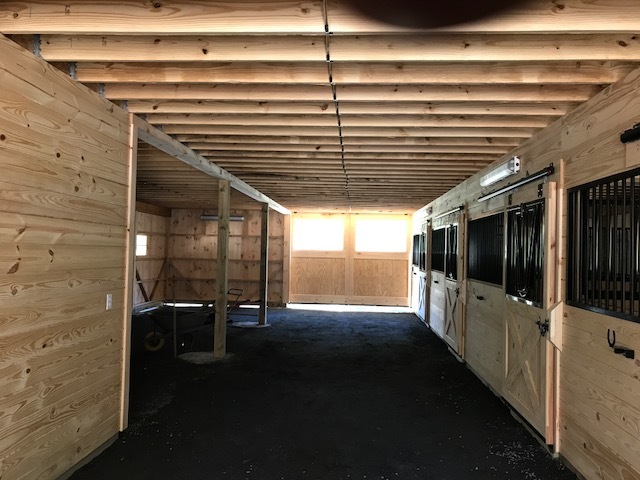 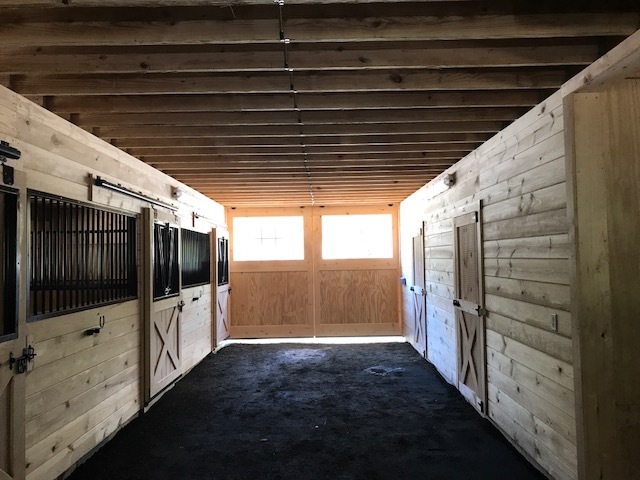 The stalls have a sliding 4’x7′ stall door with drop-down yoke and a Dutch door with window. Each stall also has chew guard. 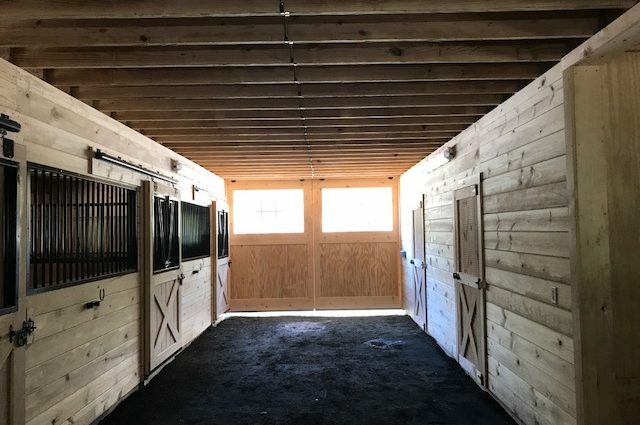 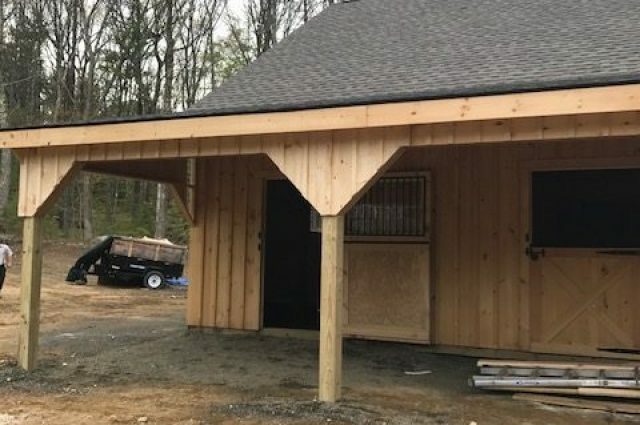 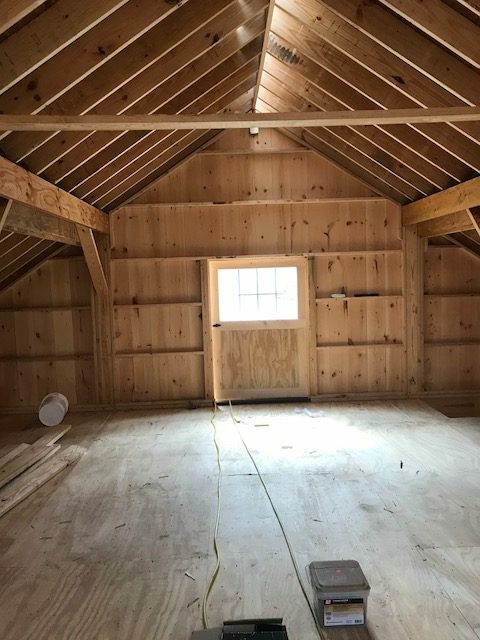 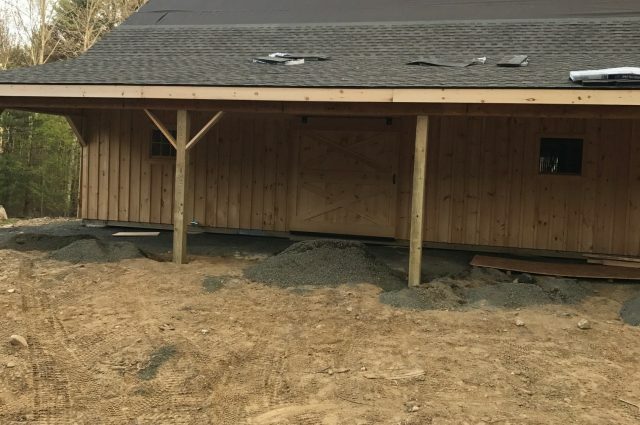 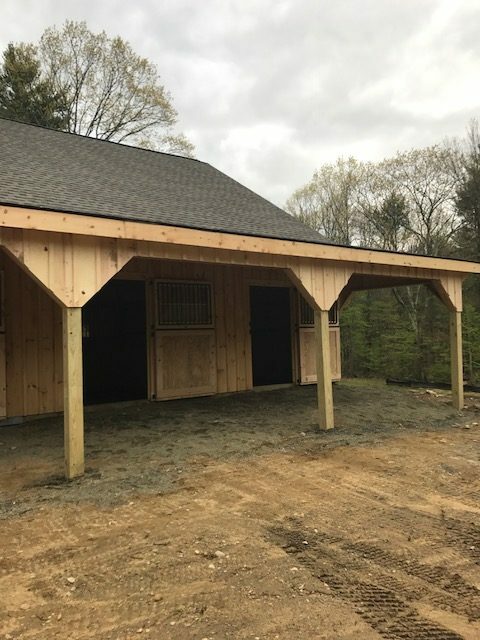 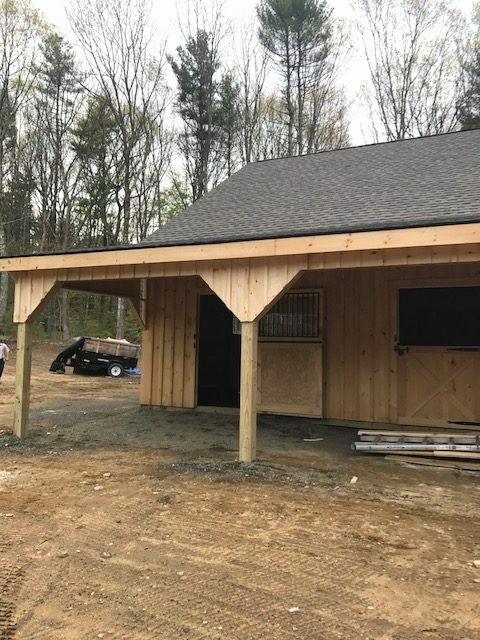 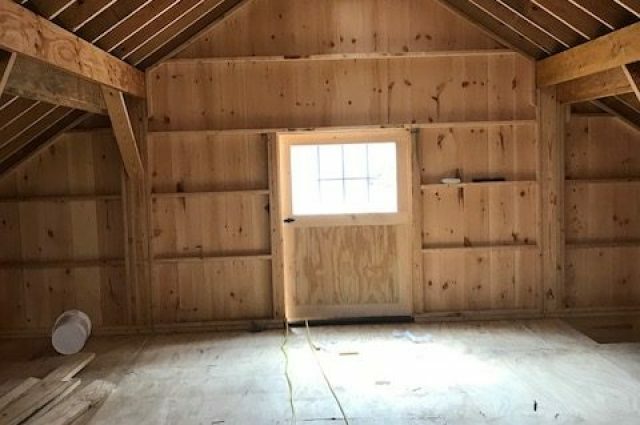 The tack room has floor and a window and a service door. 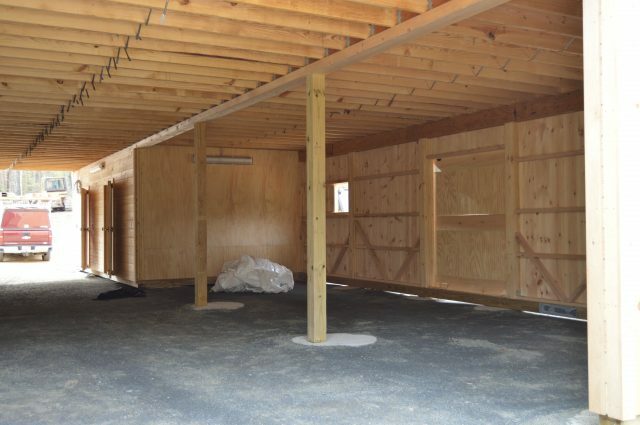 The feed room also has floor and a window and a service door. 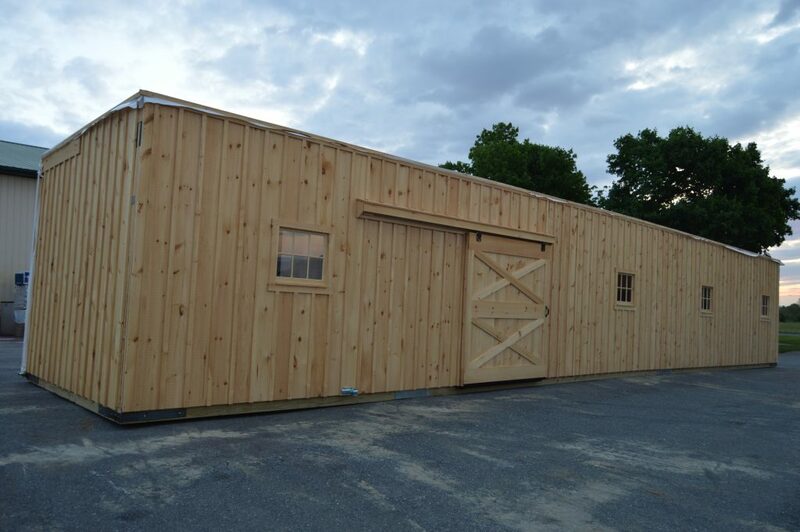 The open storage area has a 6’x7′ roll door and (2) windows. 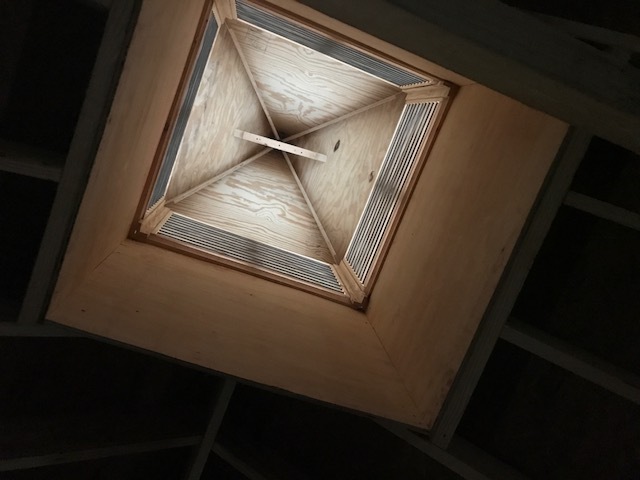 In the loft is a 24″x24″ hay hole with a hinged cover. 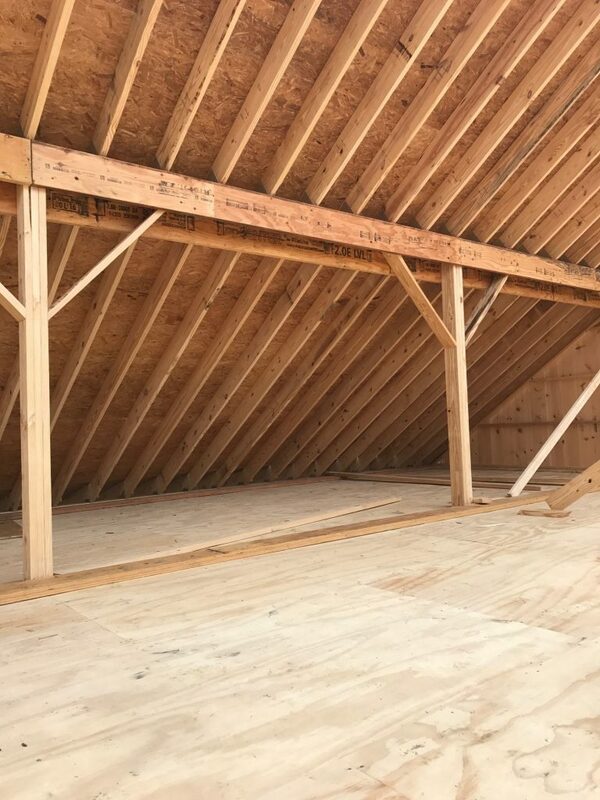 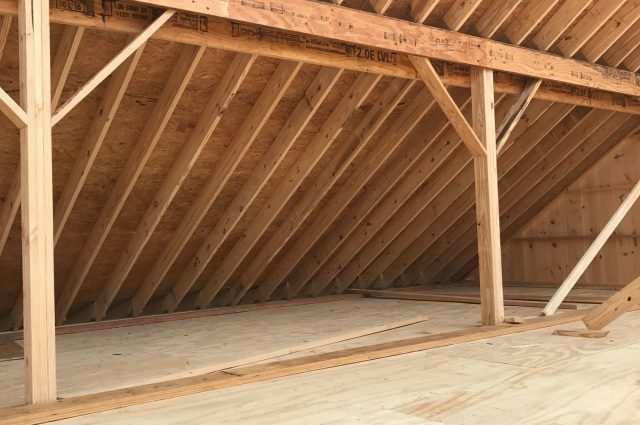 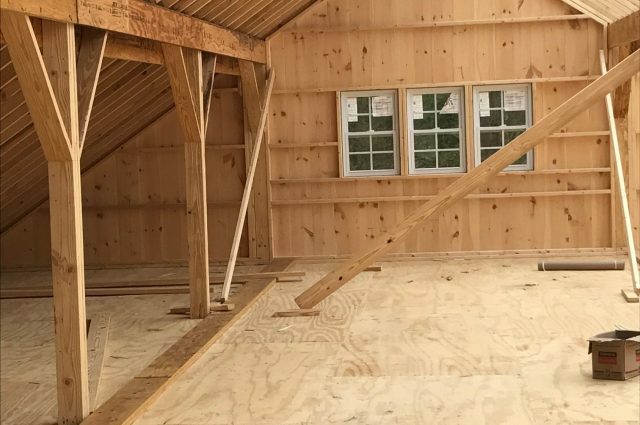 On one end of the loft is a loft door with window and on the other end is a single-hung triple loft window. 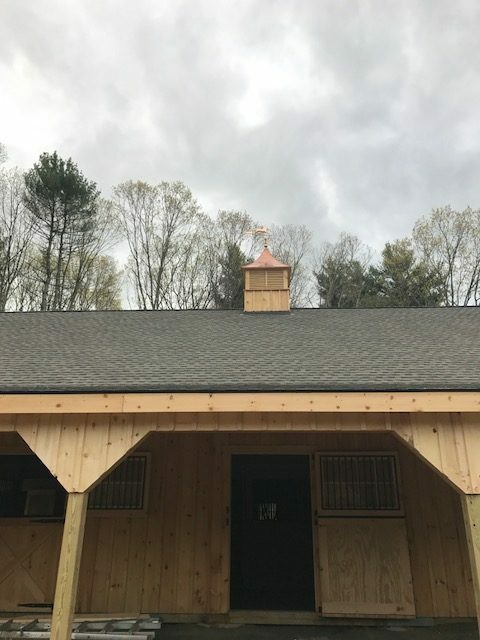 The cupola on the roof is vented and screened and sports a horse weathervane. 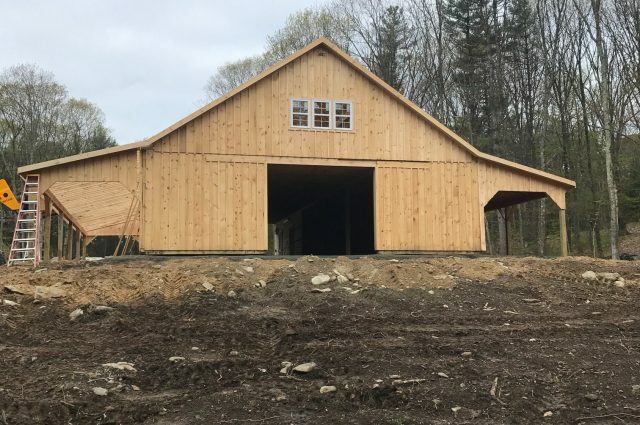 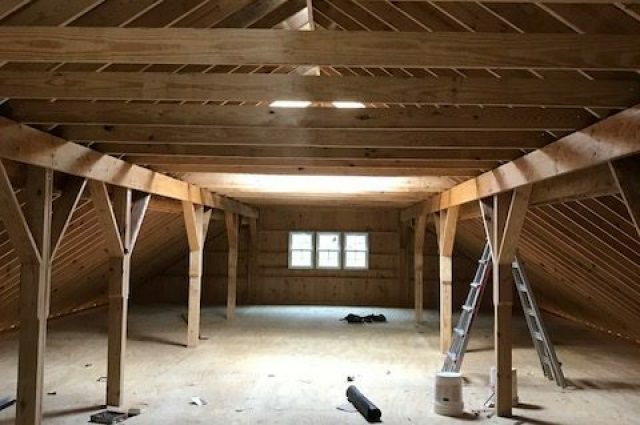 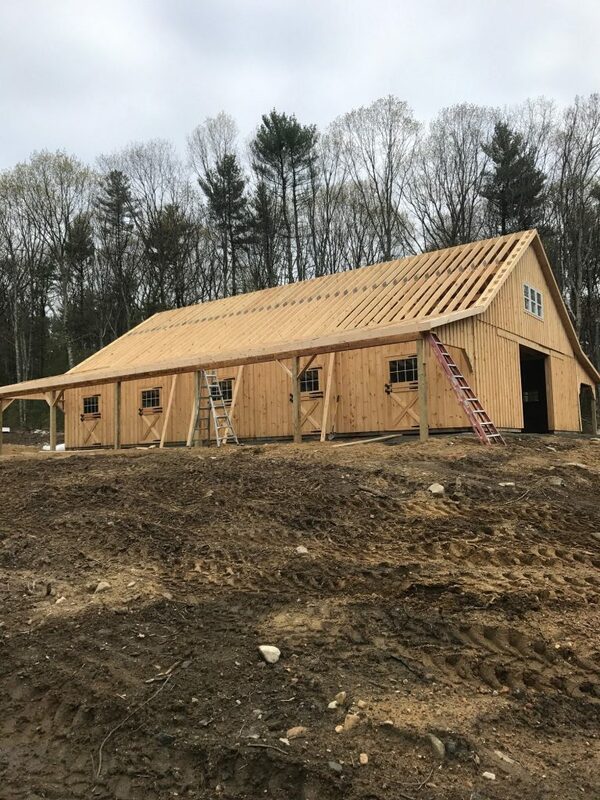 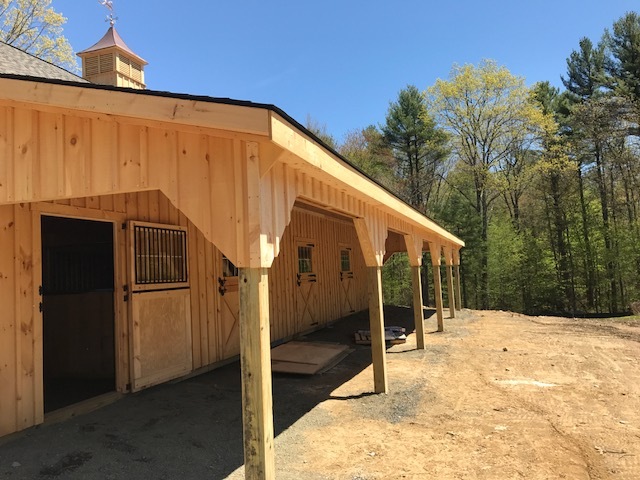 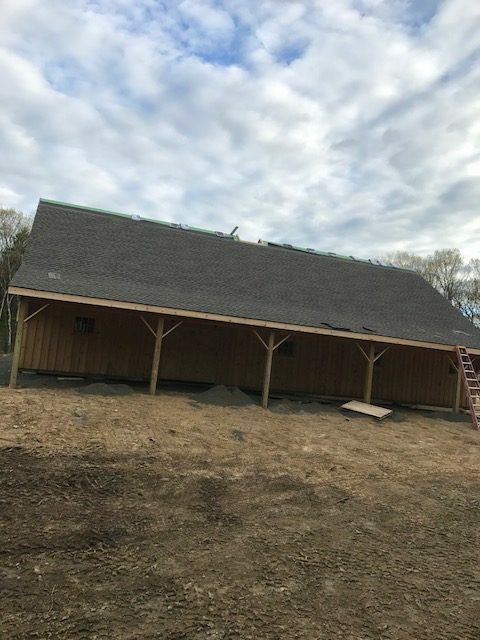 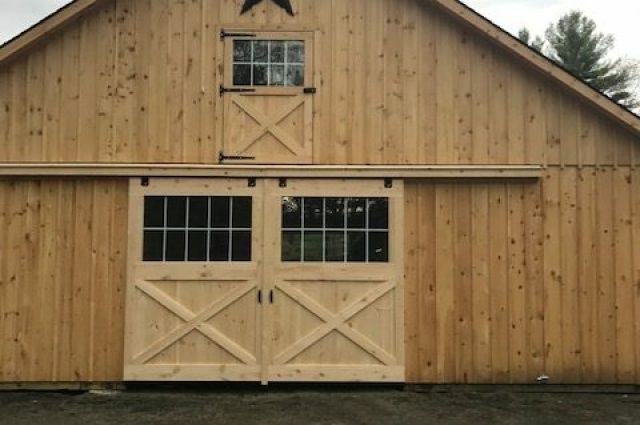 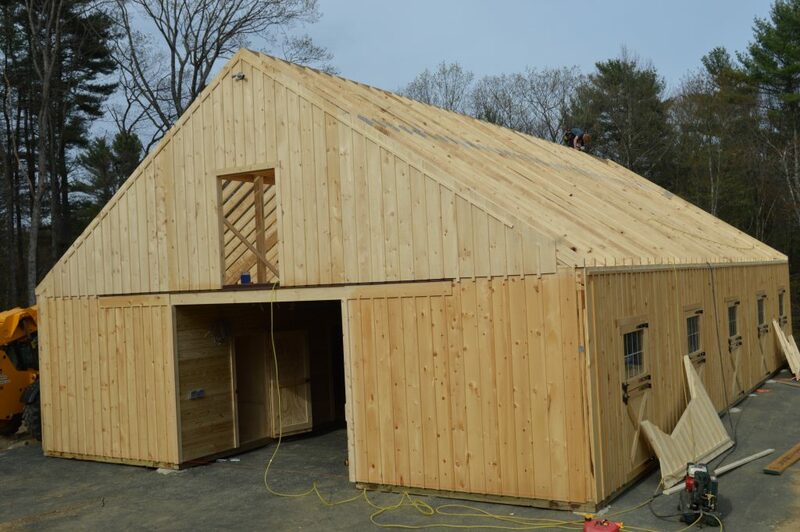 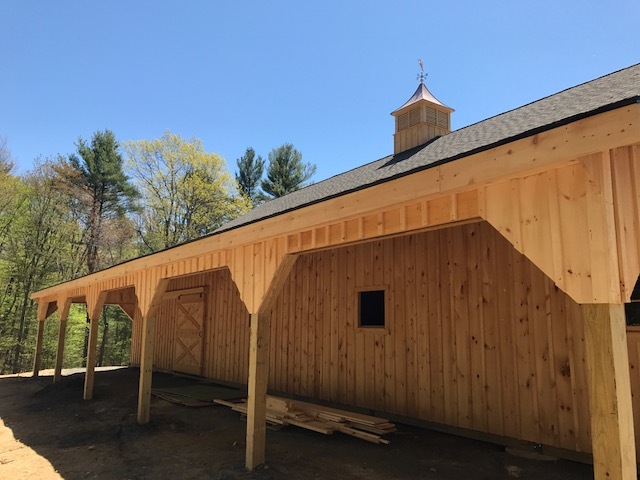 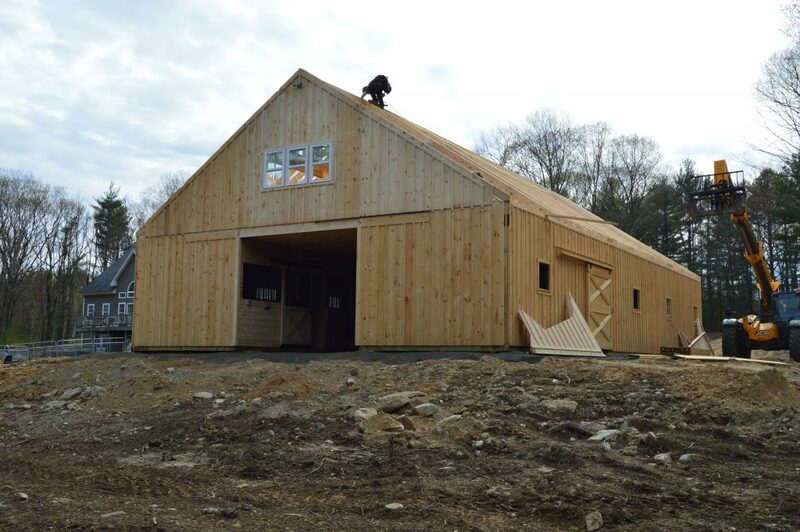 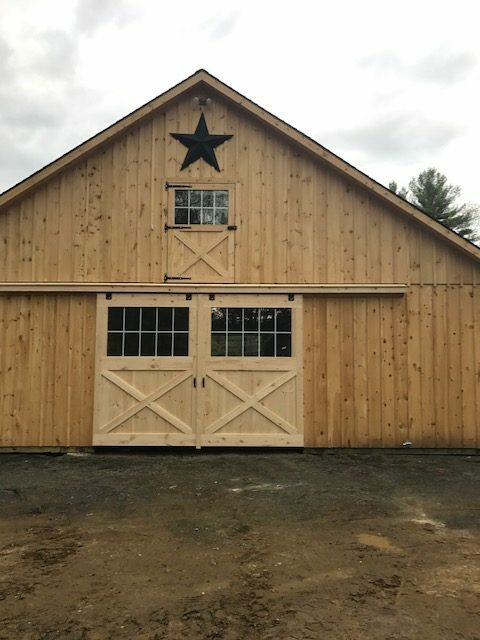 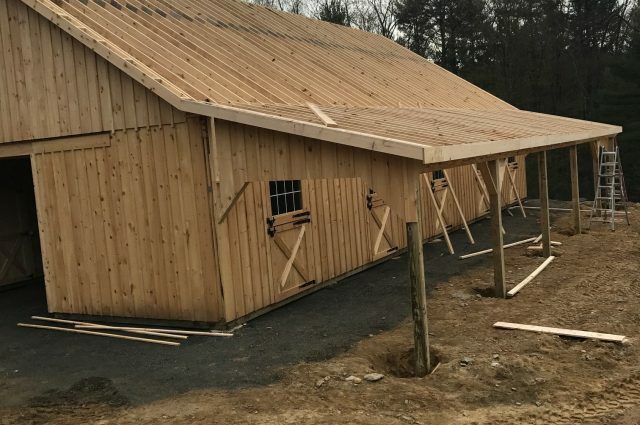 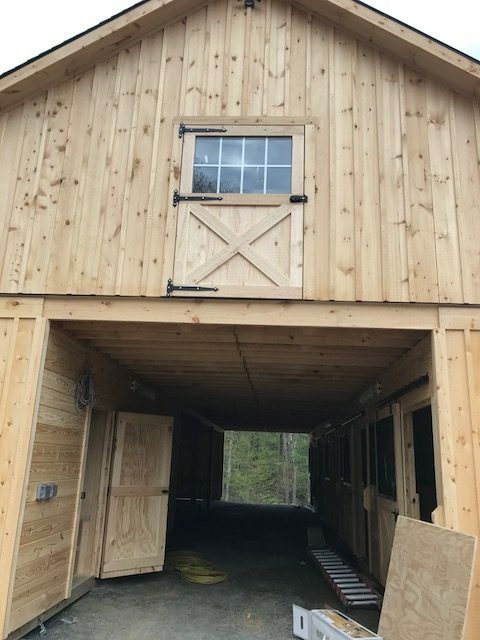 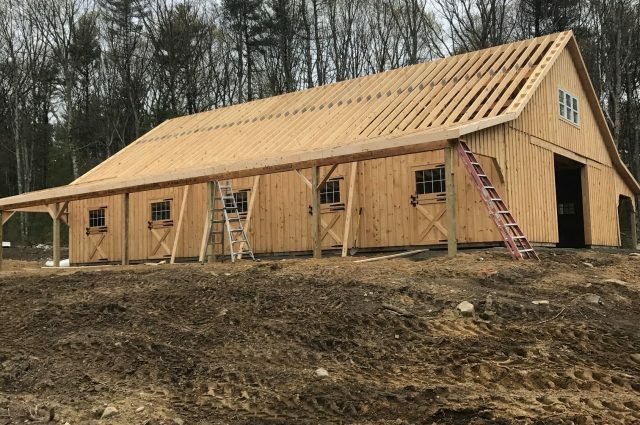 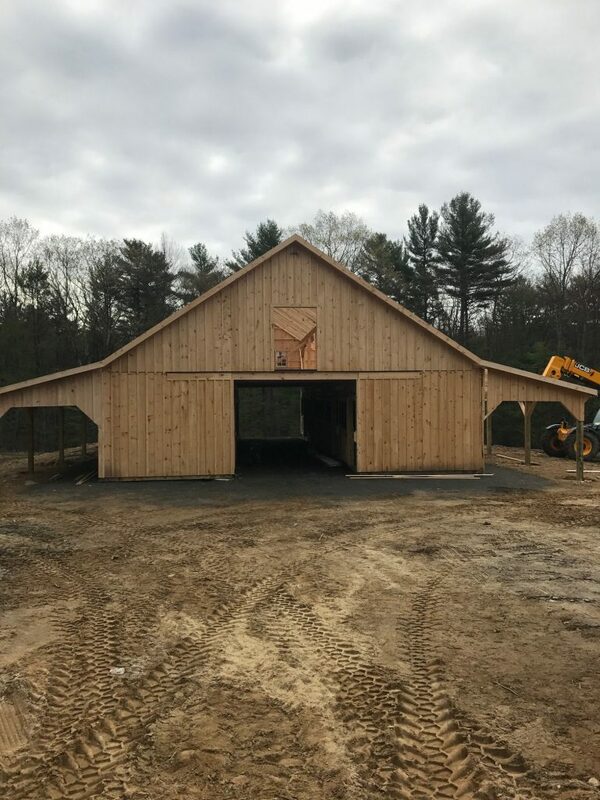 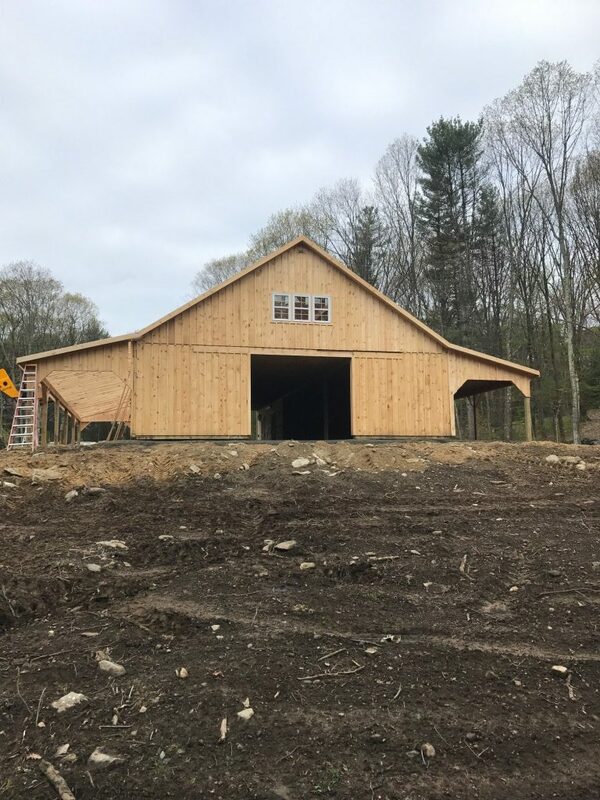 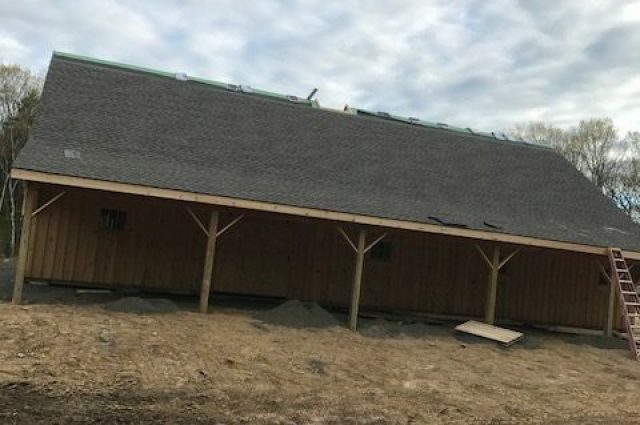 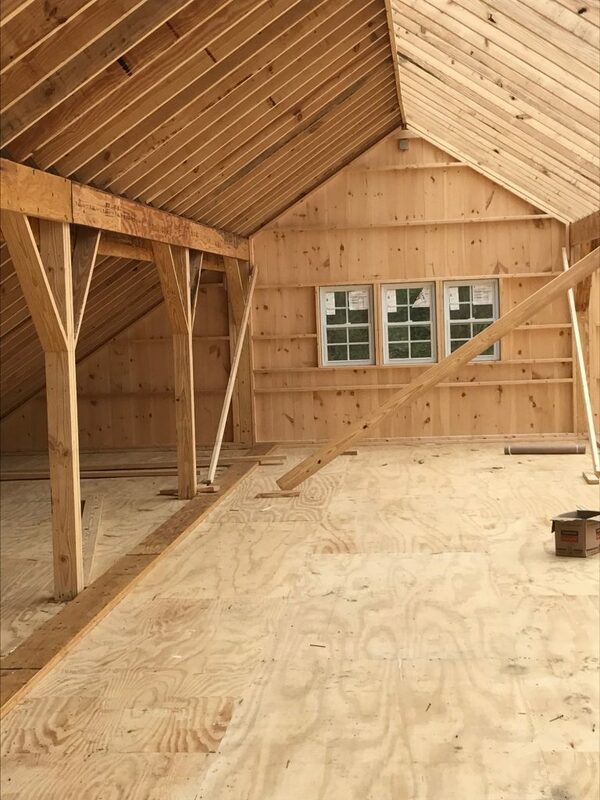 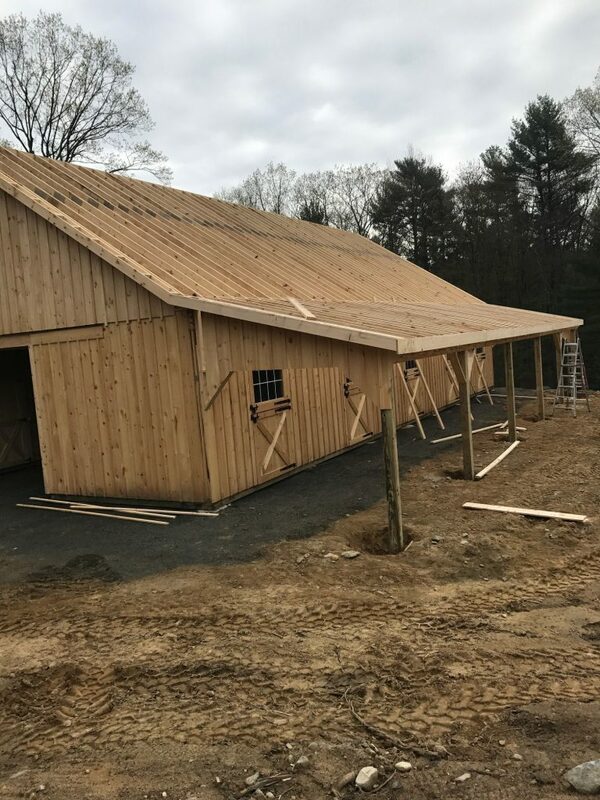 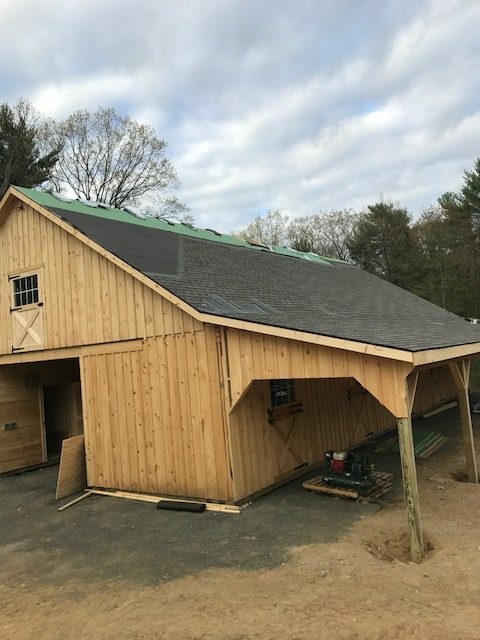 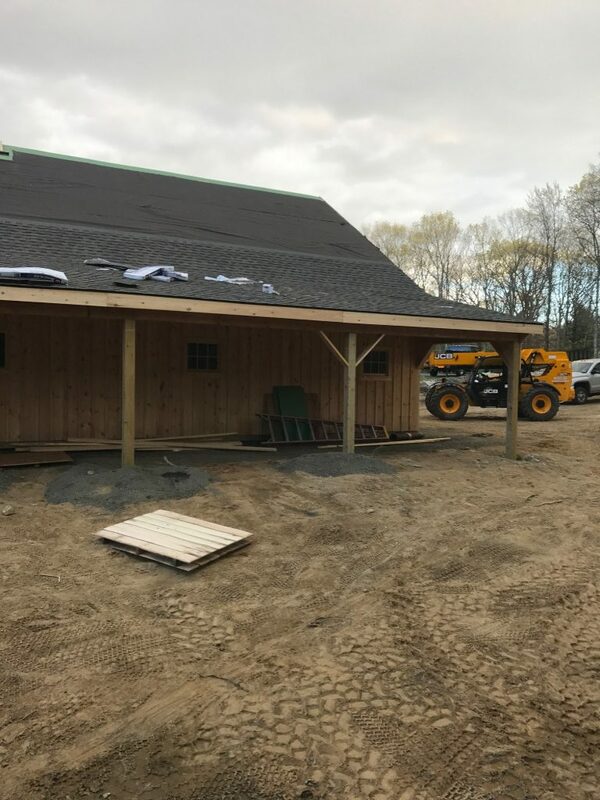 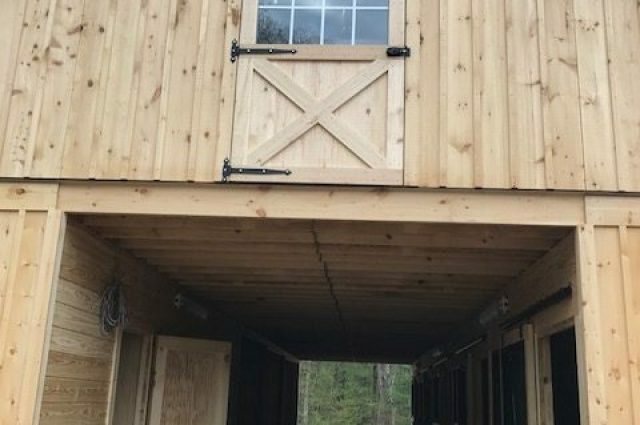 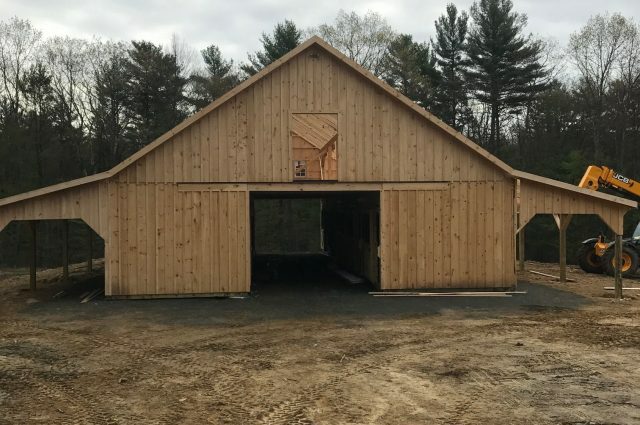 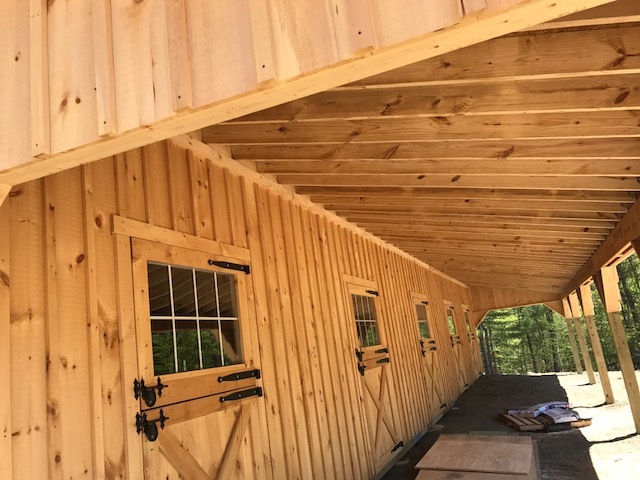 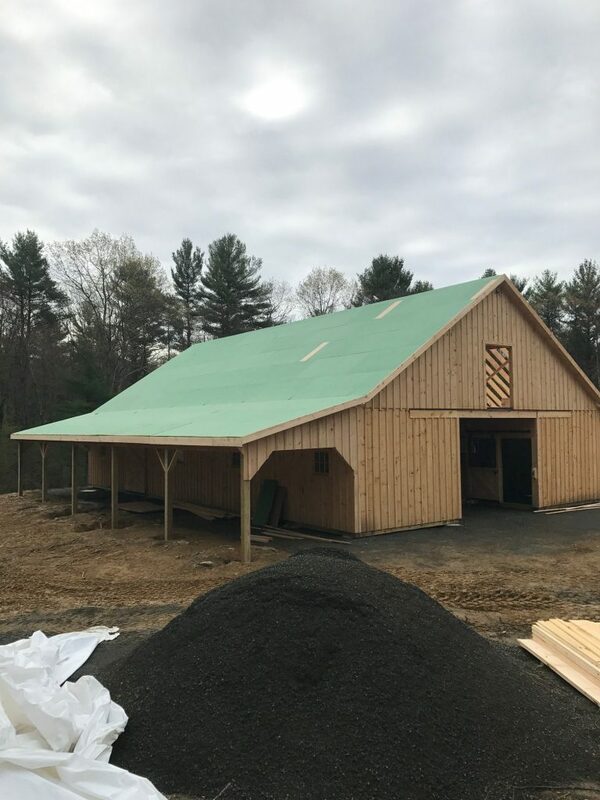 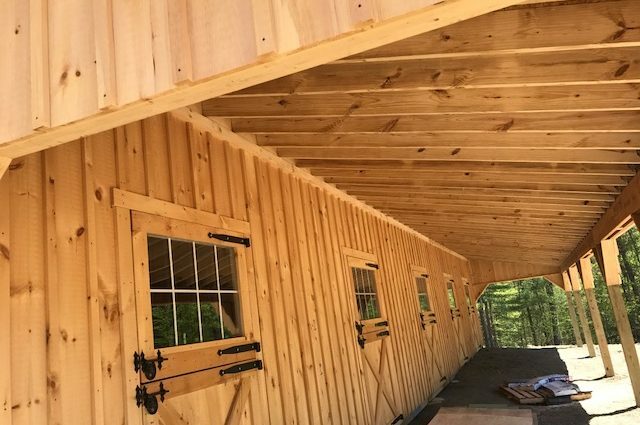 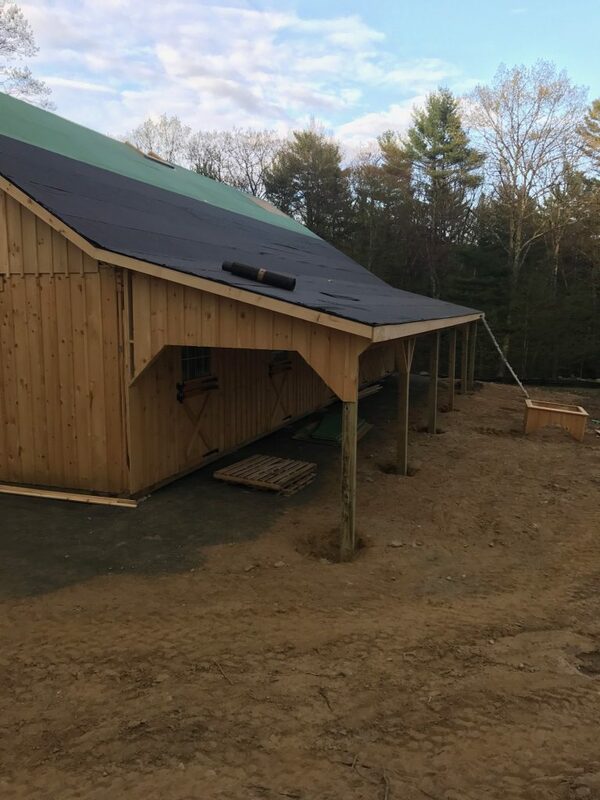 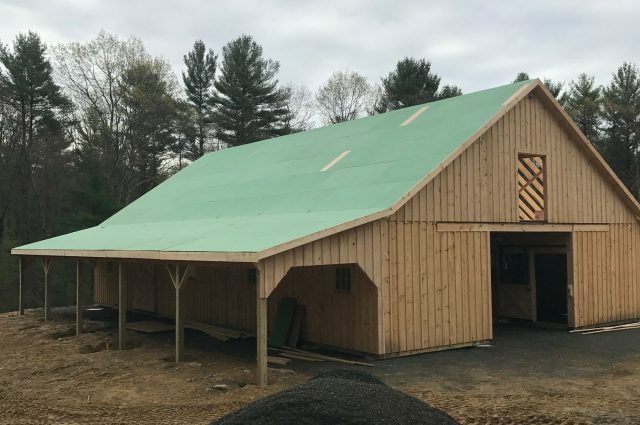 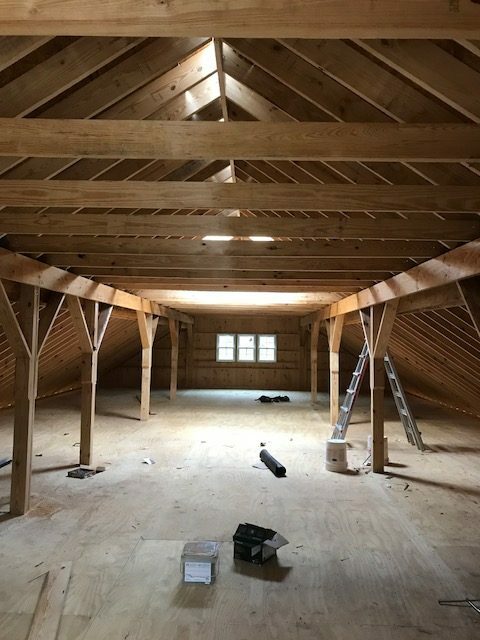 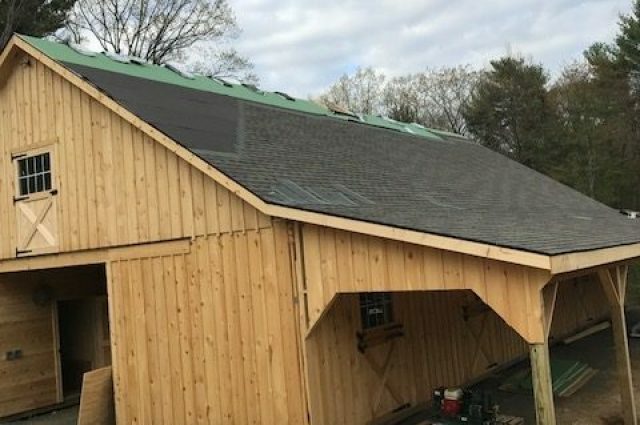 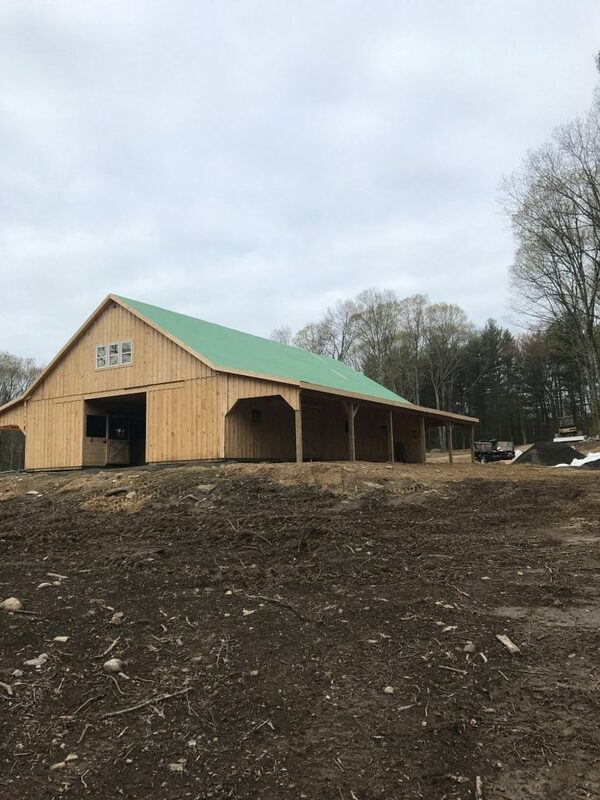 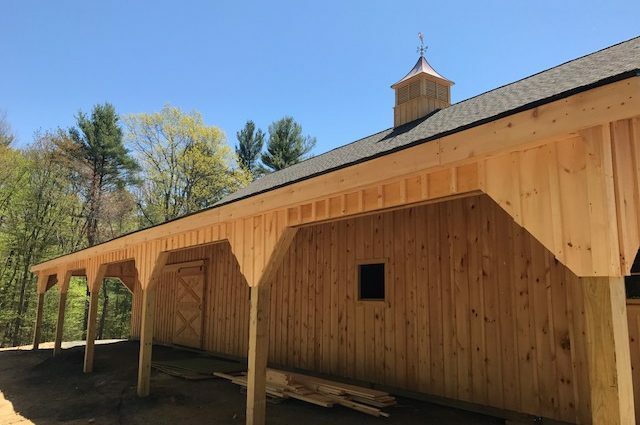 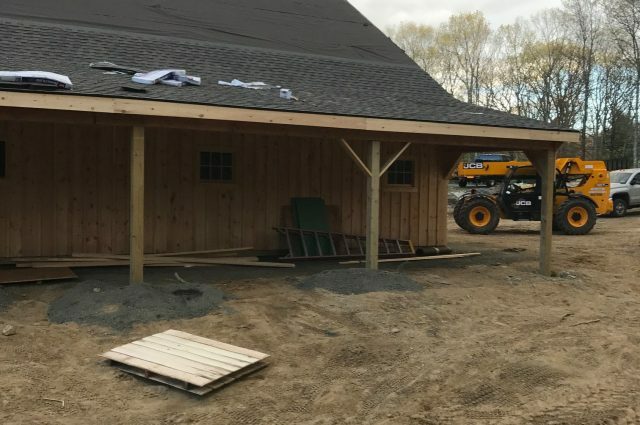 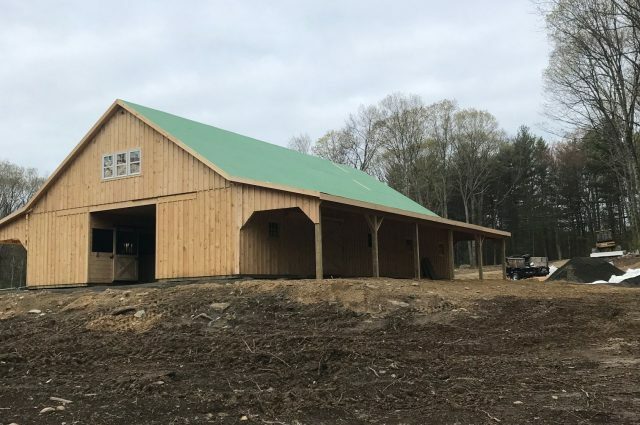 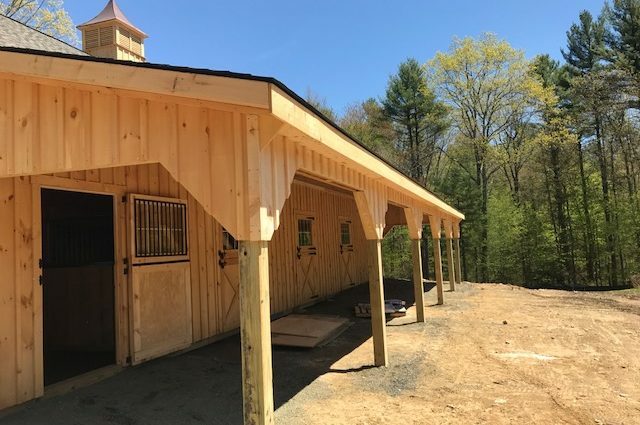 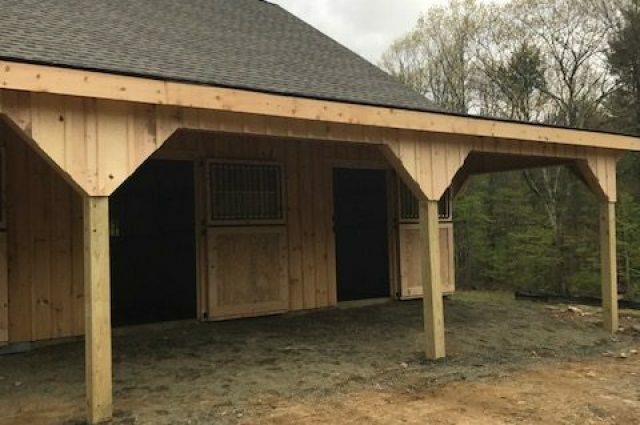 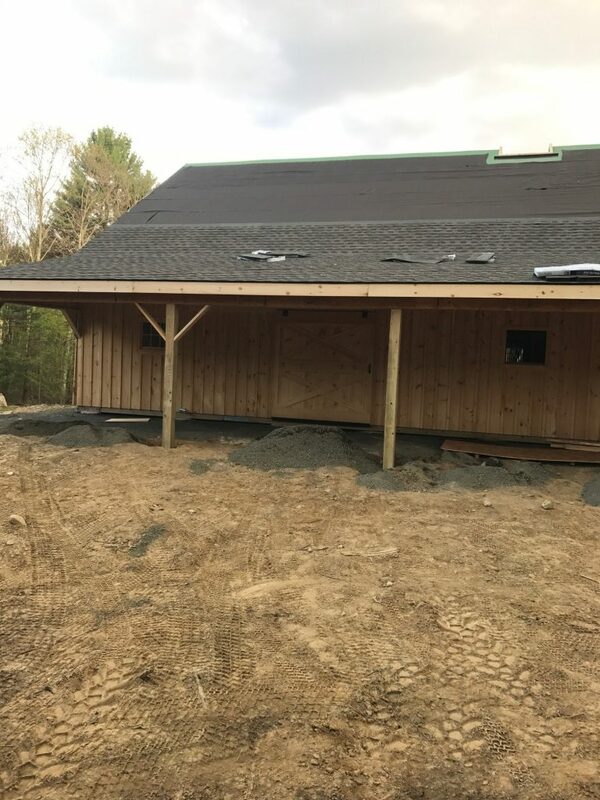 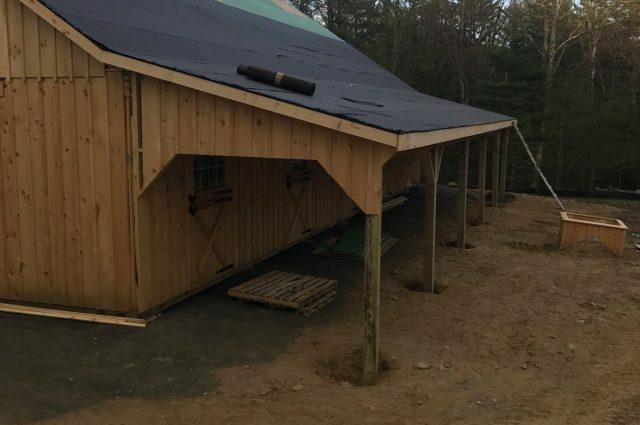 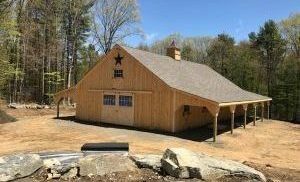 The roof is 8 pitch on the main barn and 3 pitch on the lean-tos.